Now this is amusing – a couple of Canadian teens have sent a lego man into space. Well, near space. They strapped the lego man and a camera to one of those high altitude balloons and launched it, getting to the edge of space – and they were able to recover the lego when it finally came crashing back down to earth as well. At least they can launch something into space nowadays, unlike the Australian space program, which vanished way back, or even the US one, which seems to be scrapping any prospect of manned space flight in the foreseeable future. That kind of thinking seems very short sighted. The Dawn of Wolves novella has finally been finished and uploaded via KDP to Amazon where it is currently being crunched and should make an appearance in a day or two. Dawn of Wolves comes in at 49,000 words, a little longer than a normal novella, but one I am calling a novella anyway as it is only half a novel. 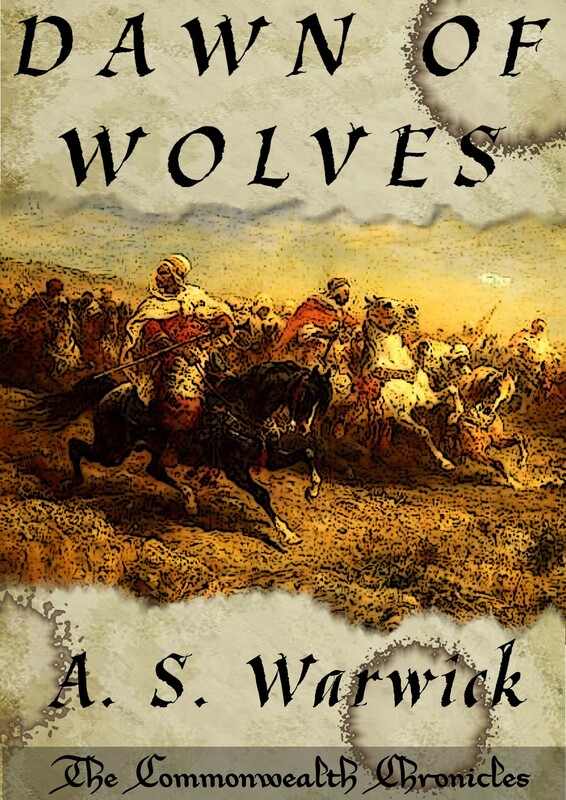 While previously I have been jumping around a bit with the stories, Dawn of Wolves starts a sub-series of stories within The Commonwealth Chronicles that will follow the Frontier War against the Nacatori – The Tomb of the Tagosa Kings takes place in the Frontier War and forms part of this series, which I am entitling Frontier Wolves. The plans for the series are the opening novella, Dawn of Wolves, followed by five novelettes (the last of which is The Tomb of the Tagosa Kings) and then a final novella to round out the collection. Once done I’ll be collecting it in an anthology, but that is some time off yet. The next novelette, The Rose of Nakunwe, has already been plotted out in rough form in a notepad. next step is to write up the first rough draft. I have finished the rewrite of Dawn of Wolves, ending at around 49,000 words, which is slightly over what is normally classified as a novella, but close enough I’ll still call it one. Now comes the next step – formatting, editing, proof reading and of course cover design. Hopefully that will not take too long. For the release I’m going to do something a little different this time around – I’m going to enrol it in the Amazon Kindle Select programme. Kindle Select is a programme where by it is enrolled in a lending library and Amazon fork up a bunch of money (currently at 500,000 a month). Those enrolled get a percentage of funds equal to the percentage of loans they make. In addition you get 5 days per free months where you can offer your book for free. There is a but through – there is always a but. Firstly a lot of people are signing up – and it is the big names that will get the most lends. Secondly, you can’t sell the book anywhere else. Not even on your own website. It is for that reason I’m leaving my old books out of it, as they are elsewhere. This one is going to test it out, to see if it makes much of a difference.